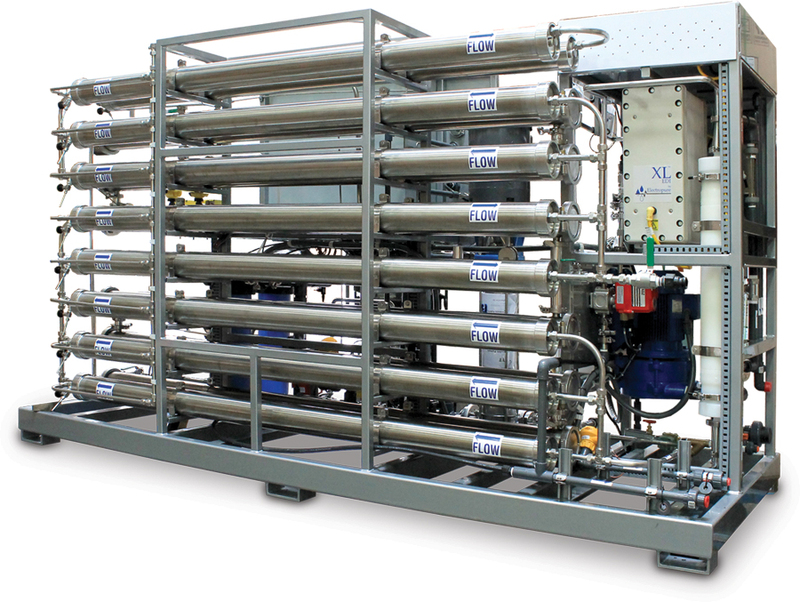 Custom Water Treatment Systems - Customized Water Purification Systems | Applied Membranes Inc. 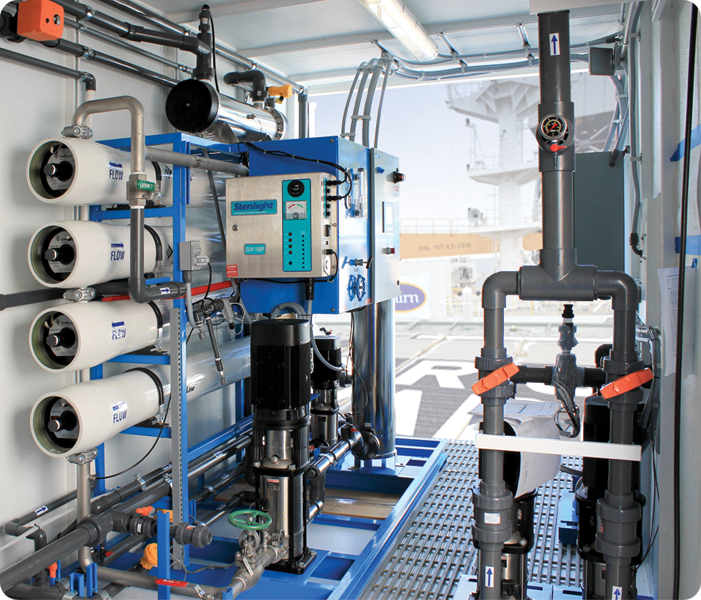 Applied Membranes’ experience extends beyond standard water purification systems. 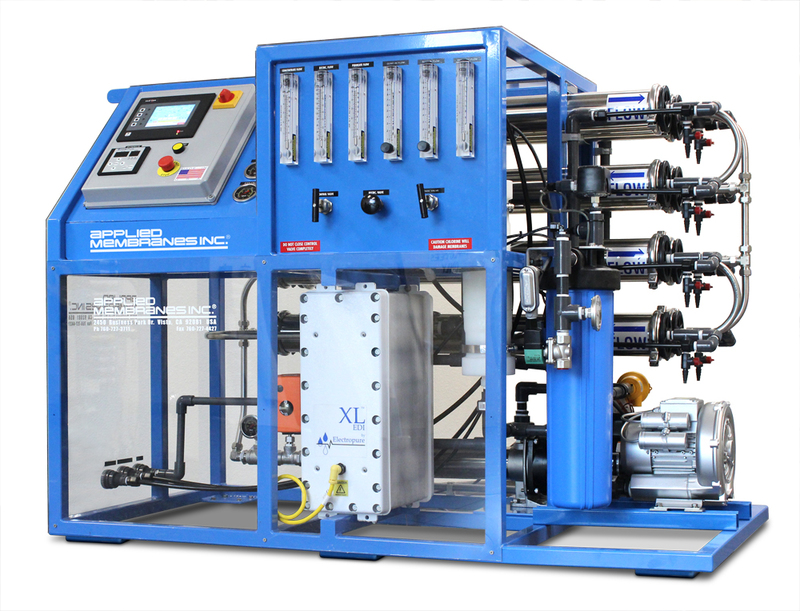 We have supplied complete systems for dialysis, ultrapure water, boiler feed water, USP grade water, water for Injectables (WFI), water reuse, dye recovery, ground water remediation, mobile water purification systems and many more. We also provide a broad selection of Pilot Plant Testing Systems available for rent at your facility. We also supply specialty membranes to OEMs for use in applications such as oily water treatment, electro-coat paint, dairy, sugar concentration, juice concentration, and other applications. Our USP grade water systems, for laboratory and pharmaceutical applications, are designed to meet USP specifications. 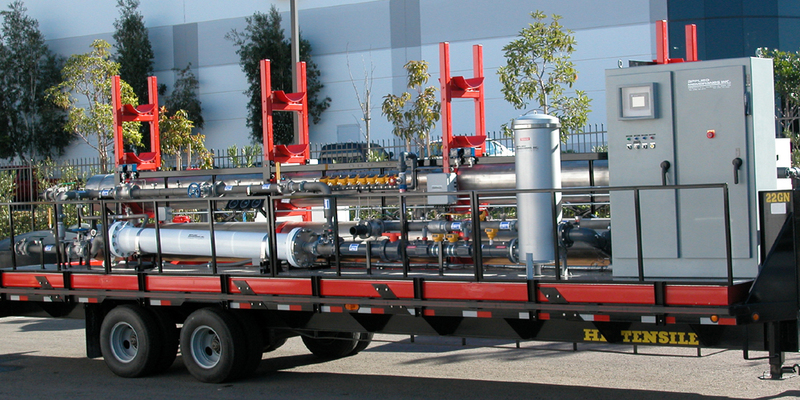 Pictured is a custom engineered J Series, Double Pass RO system with a deionization module. Combining Reverse Osmosis, Degasifier and Electrodionization (EDI) on a newly designed, ergonomic skid, this plug-and-play Ultrapure water system allows for easier access to membranes and complete system parameters are controlled by a 10" PLC touchscreen. Custom engineered 16” x 60” Seawater Desalination Membrane Application. 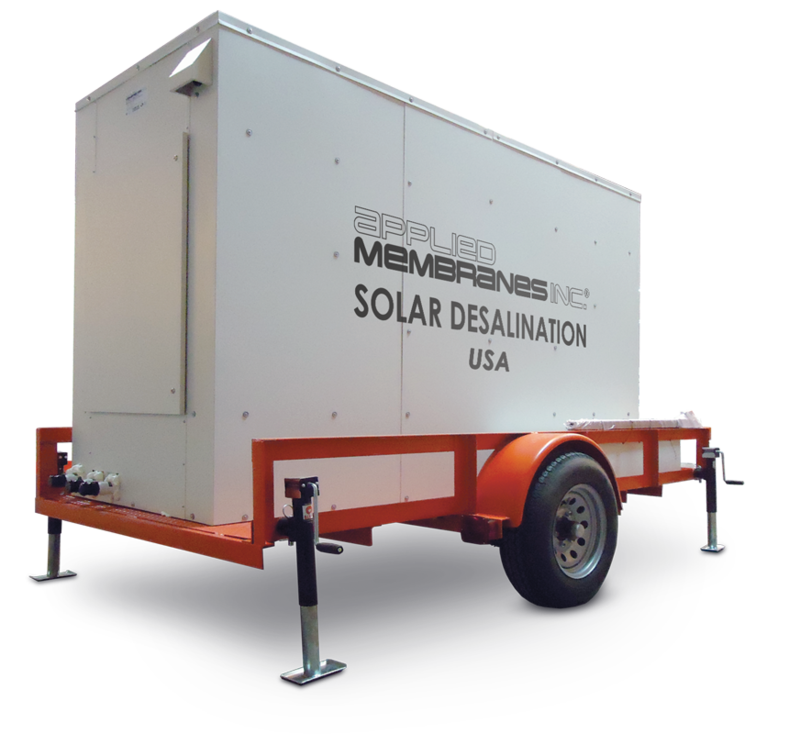 Powered only by Solar Energy, Applied Membranes’ Solar Ultrafiltration and Reverse Osmosis systems treat river and well water to produce water for drinking, agriculture and other uses. 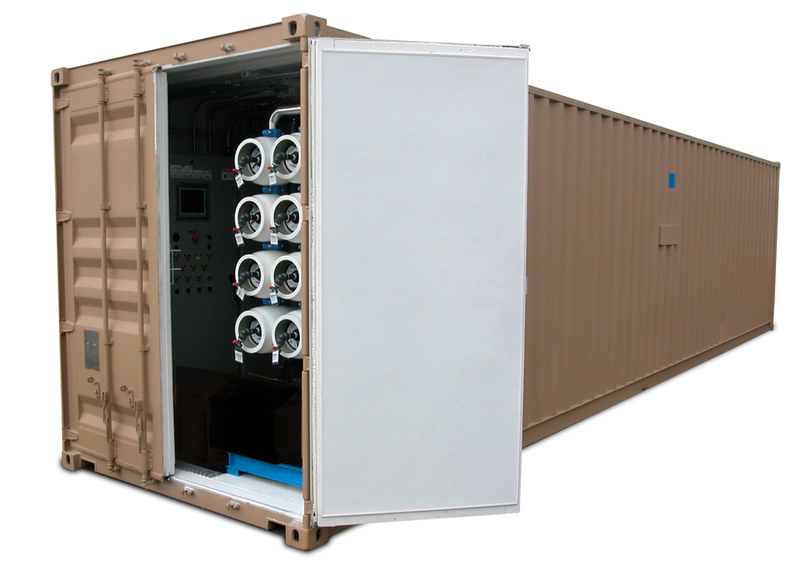 Hundreds of these systems are currently in operation treating water with TDS of up to 10,000 PPM and product flow of up to 50 gallons/minute. Designed to produce the maximum of treated water with the lowest possible energy these systems are compact and made for outdoor use. 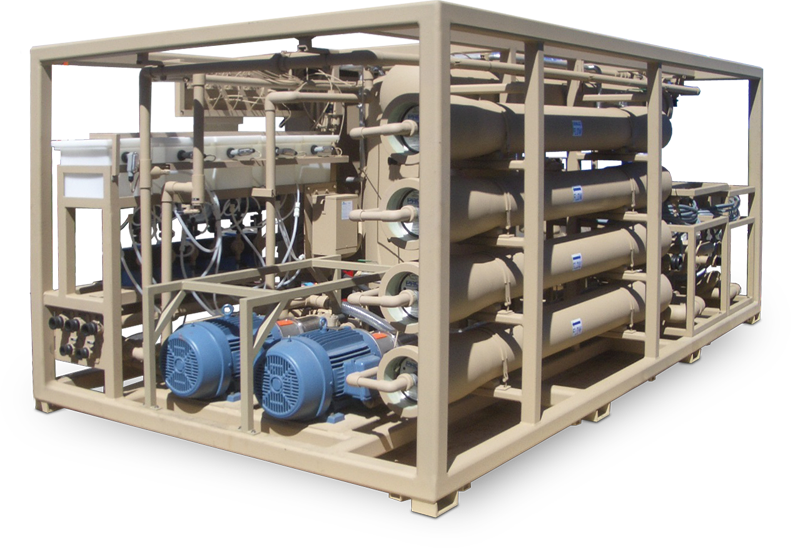 Applied Membranes has extensive experience in designing custom engineered specialty water treatment systems to meet specific customer requirements. 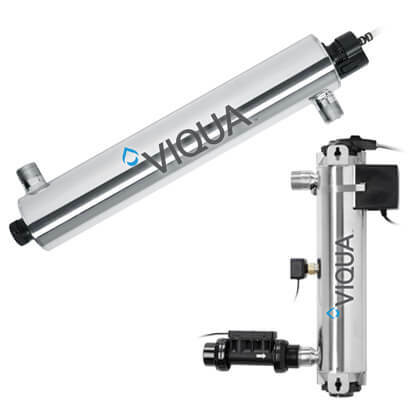 AMI welcomes the opportunity to work with you to fulfill your specific water filtration needs.